A feast of harmony singing from around the world, part of both the West End Festival and Refugee Week (Refugee Festival Scotland). Donations invited to Refuweegee. 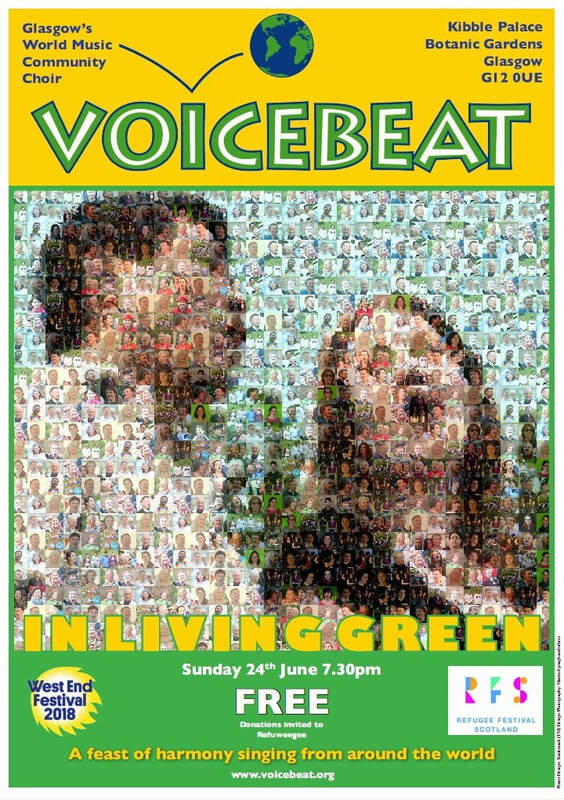 Voicebeat merchandise available, as well as refreshments. This year's summer concert is on Sunday 23 June. Details will follow here soon.